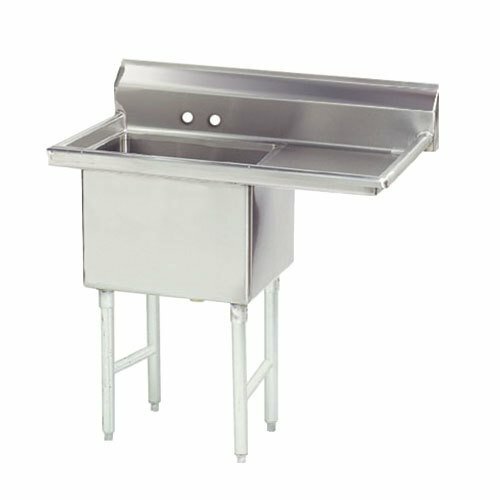 Right Drainboard Advance Tabco FS-1-1818-18 Spec Line Fabricated One Compartment Pot Sink with One Drainboard - 38 1/2"
Advance Tabco K-700F-18 Removable Sink Side Splash - 18" x 12"
The Advance Tabco FS-1-1818-18 Spec Line fabricated one compartment prep / utility sink is perfect for warewashing duties in the busiest of restaurants! 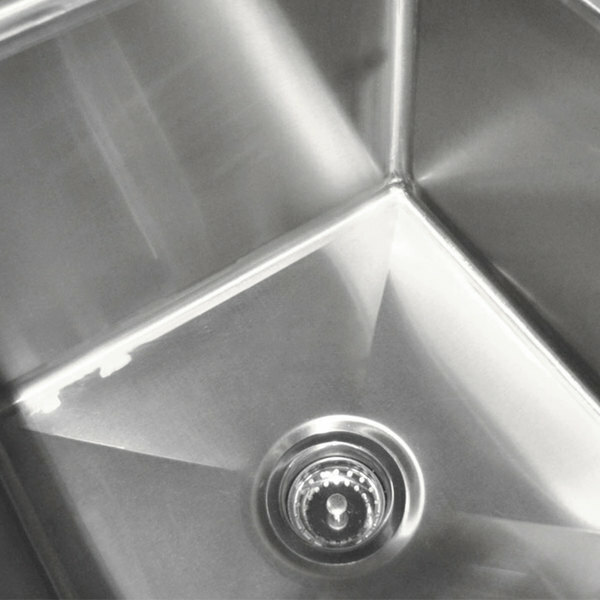 Durably constructed to stand tough against years of high-volume use, this one compartment pot sink with one drainboard is constructed of 14 gauge type 304 stainless steel with a continuous apron design for additional support. 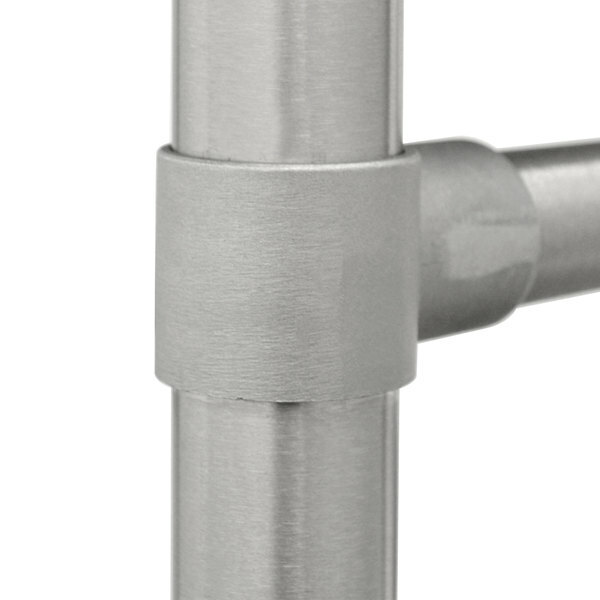 An 8 1/2" high backsplash with tiled edge enables simple installation, and two holes drilled on 8" centers accommodate a faucet (sold separately). 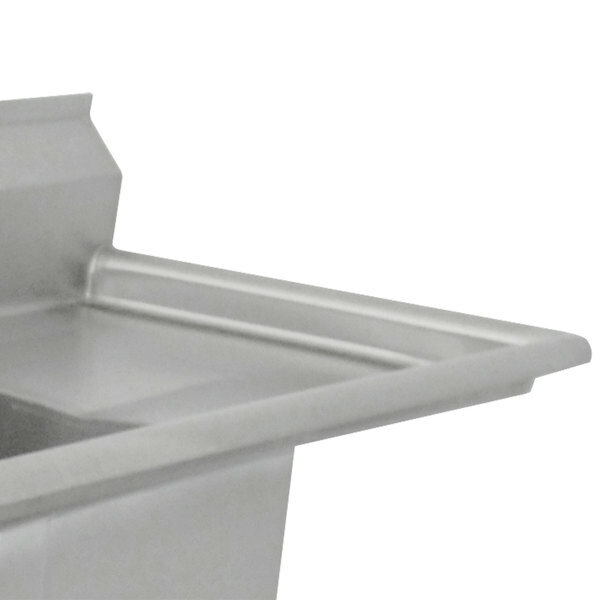 This heavy duty one compartment pot sink with one drainboard also features a rolled rim edge, stainless steel legs, cross bracing, and adjustable bullet feet for optimum strength and stability. 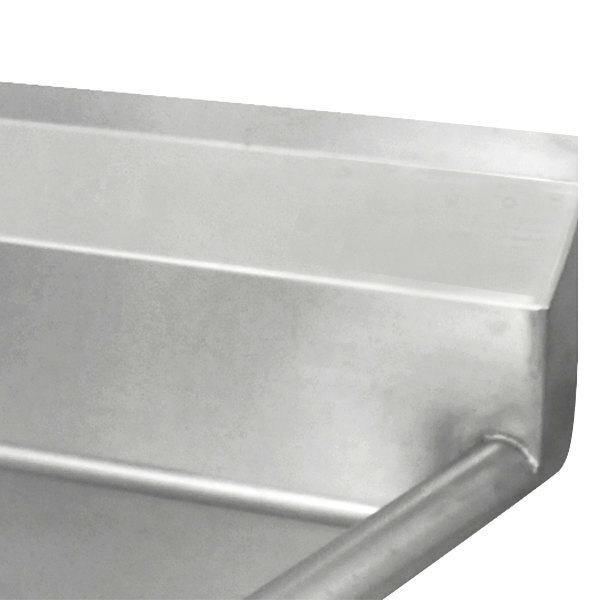 Left to Right: 38 1/2"
Advance Tabco FS-1-1818-18 Spec Line Fabricated One Compartment Pot Sink with One Drainboard - 38 1/2"
Advance Tabco 9-61-18-18RL Super Saver One Compartment Pot Sink with Two Drainboards - 56"
Advance Tabco 9-61-18-24RL Super Saver One Compartment Pot Sink with Two Drainboards - 68"
Advance Tabco 9-61-18 Super Saver One Compartment Pot Sink - 27"
Advance Tabco FE-1-1812-18 One Compartment Stainless Steel Commercial Sink with One Drainboard - 38 1/2"